A busy year for Electric Boat Sales! ...Makers of the funnest electric boats you can buy! For boat hire in Portsmouth click here. This has been our busiest year ever for sales of our electric boats, with the electric Ferry and electric destroyer being our most popular models. We modified the design slightly in late 2015 to speed up our build times, and are now building electric ships for stock this autumn. More to follow shortly! 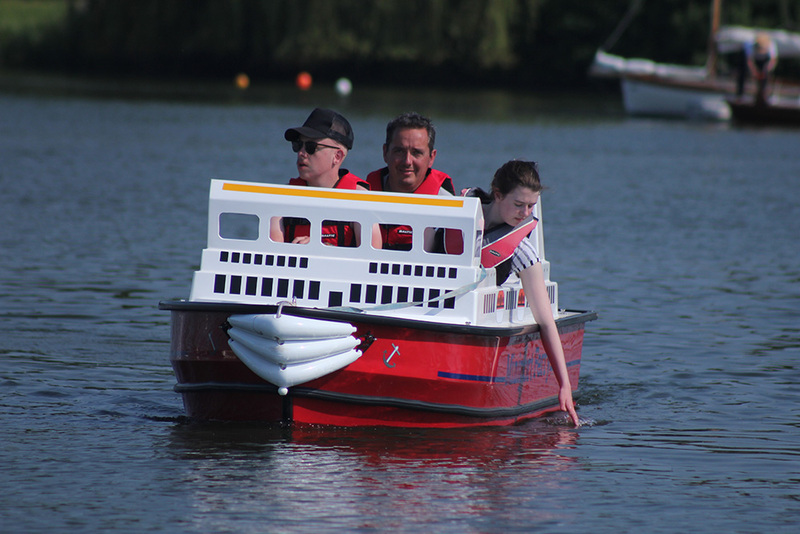 This is a the new version of the Miniport Ferry at the 2016 Beale Park Boat Show, where it was extremely popular!